Patrons have been enjoying Irish Hospitality in The Rathcoole Inn for more than 225 YEARS. 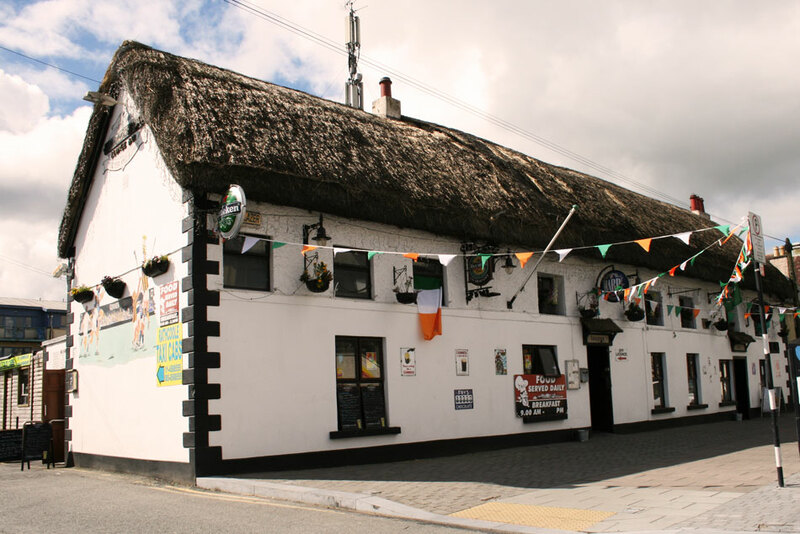 A tradition of a genuinely warm welcome and first rate friendly service, is the hallmark of this Traditional Irish Pub, located in Rathcoole Village, Dublin. The Rathcoole Inn, is the perfect place to experience true Dublin village life. If you are in the area you have to call in and see this historic traditional Irish public house. The Rathcoole Inn was established in 1785 and today still holds the charm of years gone by. Enjoy live sporting events in our Bar and Lounge. If you are looking for Live Traditional Irish Music, Pub Table Quiz's, DJ's, Darts, bar putting competitions, Karoake & Bingo nights, the Rathcoole Inn has it. Home cooked food is served Monday to Friday from 9.30am till 3pm. Why not start your day off with our Full Irish Breakfast or tempt yourself with a beautiful lunch Sunday Hours: 12noon - 4pm. Visit the Gallery to view photos of this timeless Irish bar. Located in Rathcoole, Co. Dublin, why not come in and see for yourself what is on offer. Rathcoole lies just off the N7 national primary road. Rathcoole (Rath Cumhaill) is said to derive its name from the fact that Finn McCumhall's father built a rath here. Rathcoole lies just off the N7 national primary road. It borders the nearby village of Saggart. Main Street, Rathcoole, Co. Dublin, Ireland. Latitude: N53° 16' 52" Longitude: W6° 28' 13"
Copyright © Rathcoole Inn. All Rights Reserved.